Rabbits Wrestling, originally uploaded by excessmind. 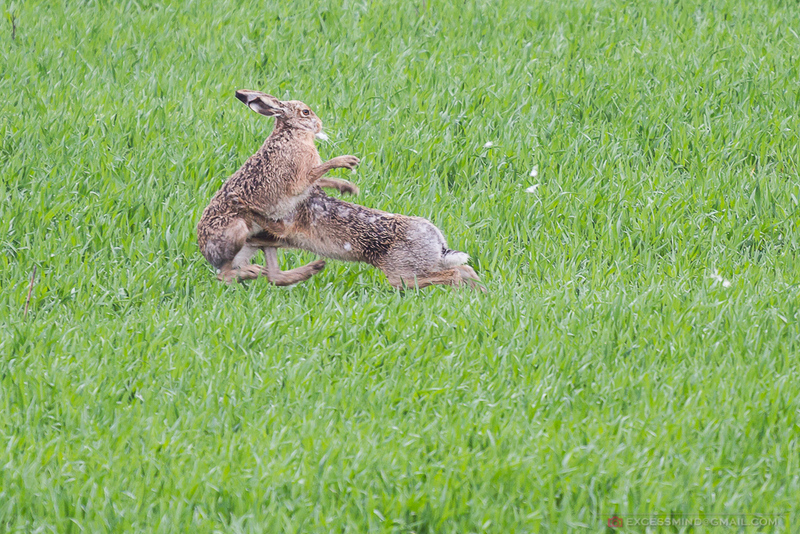 As I was trying to photograph one big bird (unsuccessfully) I spotted this rabbit fight. 03 мар. This entry was written by excessmind, posted on 3 март 2014 at 12:52, filed under Фотография and tagged диви, животни, зайци. Bookmark the permalink. Follow any comments here with the RSS feed for this post. Trackbacks are closed, but you can post a comment.